AMERICA’S GOT TALENT: Howard Stern’s First Wildcard Show Coming Soon! NEW YORK – August 16, 2012–NBC’s top-rated “America’s Got Talent” will finalize its remaining “Top 24” contestants on Tuesday, August 21 (8-10 pm ET) after 12 eliminated acts return to the stage and compete to rejoin the competition. The highly anticipated Wildcard show will include 12 returning acts, selected by judges Howard Stern, Sharon Osbourne, and Howie Mandel. As previously announced, Howard Stern has selected Ben Blaque, Horse, Spencer Horsman, and Todd Oliver and Irving. Sharon has invited back All That!, Bandbaz Brothers, Jake Wesley Rodgers and Lindsey Norton, and Howie has selected Andrew De Leon, Jarrett & Raja, Sebastian El Charro and Cristin Sandu. The four acts that advance on the show will enter the Semi Finals for a chance to win $1 million. 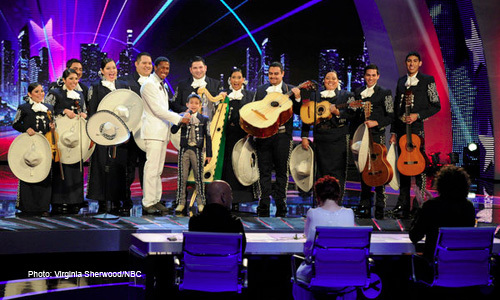 Bios of all acts, including photos and more information can be found at www.nbc.com/agt. “This year has had such a great amount of talent that with only 4 choices allowed per show, deserving acts got let go. I believe America will be happy to see my choices get a second chance,” added Judge Howie Mandel. “I love the Wildcard show because I want to show Howie and Howard that my picks are going to go through,” said Sharon Osbourne.